This scenic highlight on the drive to Milford Sound is home to some important conservation projects. The Eglinton is one of the only road-accessible valleys in Fiordland National Park. State Highway 94 runs through the valley for most of its length, and up to 700,000 people will encounter it on their way to Milford Sound each year. Many visitors get their first introduction to the challenges facing conservation when they stop at interpretation sites such as Mirror Lakes or Knobs Flat. The Eglinton valley is one of the few extensive lowland areas of mixed southern beech forest in New Zealand. Now, thanks to intensive pest management including a combination of traps, bait stations and aerial 1080 the area has become a mainland stronghold for a variety of endangered native species including mohua, long and short-tailed bats, kākā and kākāriki. Mohua were once abundant in the Eglinton valley but due to rat and stoat predation the population dwindled to 18 individuals following two consecutive beech mast seasons during 1999–2001. Rat and stoat control was increased because of these losses and mohua were translocated from Chalky Island in 2010 to supplement the relict population. Monitoring after the translocation showed good fledgling survival but a decline in the number of adults in the valley, from 55 in 2013/14 to 35 in 2014/15, possibly due to emigration. To boost the population another translocation took place in October 2015. In 2017, a further 100 mohua were translocated to the Eglinton valley from Dusky Sound. The Eglinton valley is one of the most important sites in the country for native bat conservation as it is home to both long-tailed bats and lesser short-tailed bats. 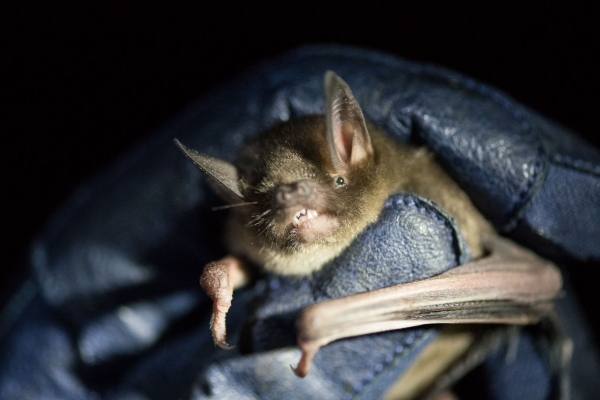 The short-tailed bat population in the Eglinton valley is one of only two known on mainland South Island. Bats are vulnerable to predators throughout the year: in summer when they congregate in large colonies, and during winter when they may remain inactive within roosts. A report on the translocation of 80 mohua captured from Anchor Island and released over two days to the Eglinton Valley, Fiordland to supplement the existing population.